Looking for a way to spruce up your kitchen with minimum costs? Then look no further. 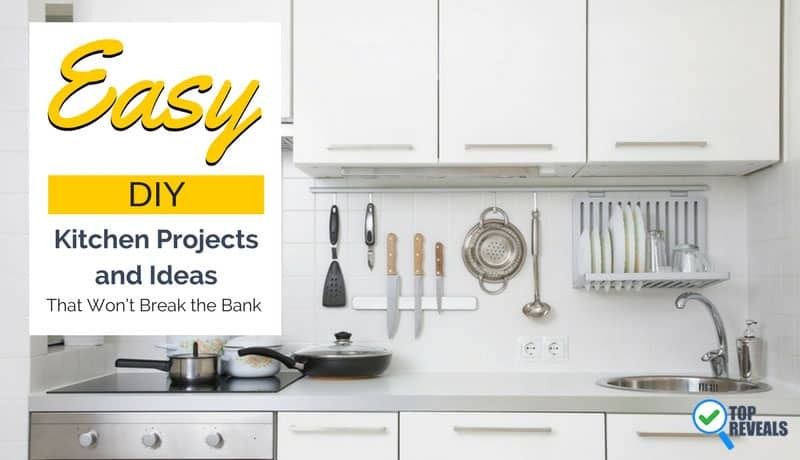 Here is a list of fun, easy, kitchen DIY project ideas that will add some extra embellishments to one of the most important rooms in your house. 1.2 2. Menu Board: What’s for Dinner? If you’re like me, you probably spend a lot of time rummaging through drawers for a ladle or spatula; well, now you don’t have to thanks to this ingenious little rake/ utensil holder. Put the ones you use most on it for quick and easy access. 2. Menu Board: What’s for Dinner? Plan out the week’s menu with this simple but chic menu board; now, everyone will know what’s for dinner and you can shop ahead for what you need. 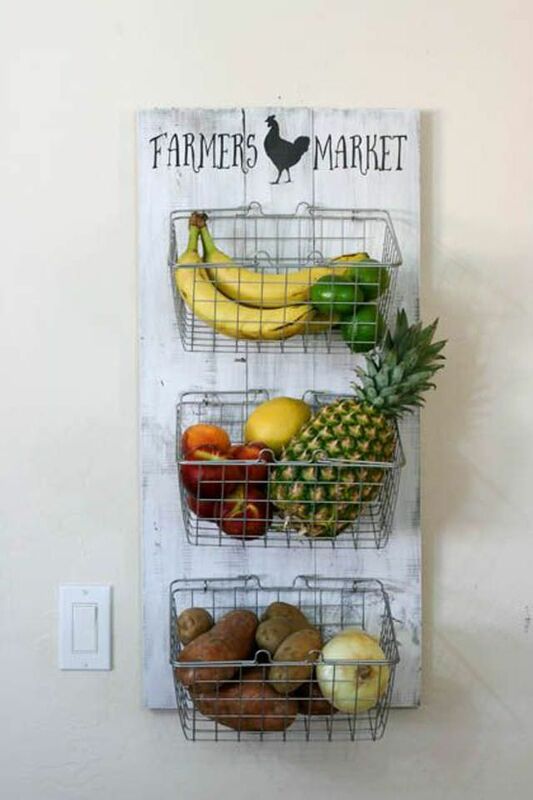 This is an excellent way, to keep organized with meal planning, but also have something decorative to hang up. 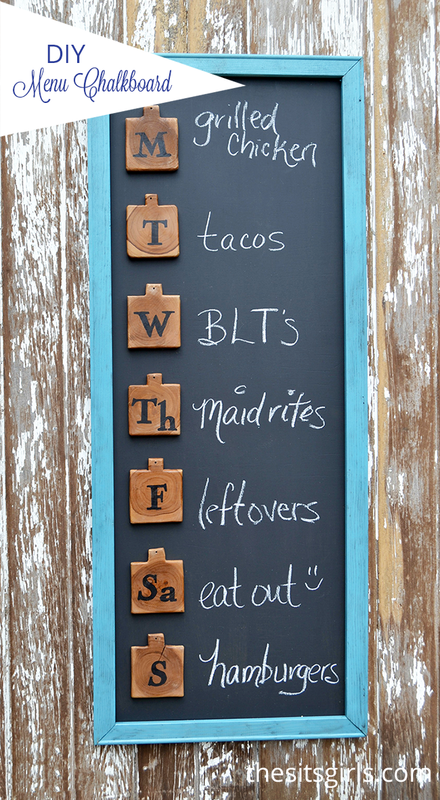 A little bit of chalkboard paint can go a long way. With this clever idea, you can store the fruits and vegetables that don’t need the refrigerator without sacrificing counter space. See some power-tools you may need to put up some projects. This project is super easy. All you need is 2 ingredients; empty jars and a printer. 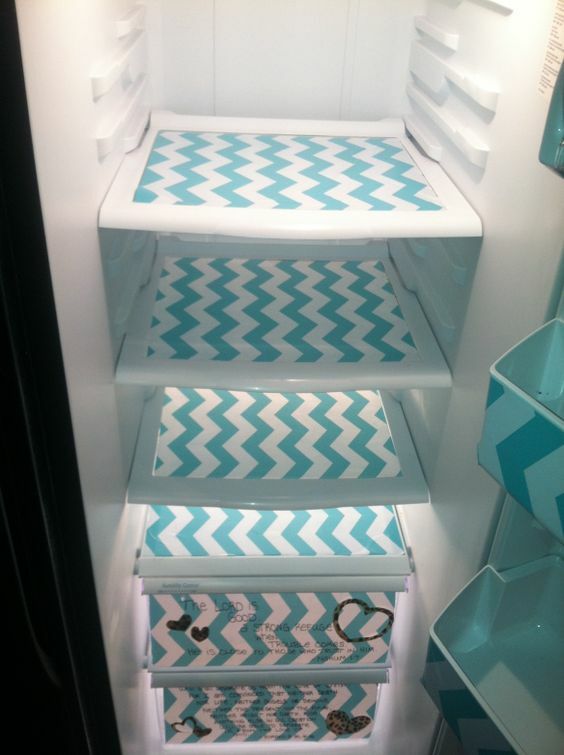 Just another great way to keep the kitchen organized and running smoothly. In this case, all you need is a magazine holder that you can get at any store. It’s the perfect size to hold all those long boxes for your Saran Wrap and tin foil! Never mix up the sugar and salt again with these cute and functional labels. All you need are clear labels to print on and some mason jars and you’re all set. Again with the repurposing. Need easy access to your wine glasses? Look no farther than a common garden rake. Are you bored of having a run of the mill fridge? I know I am. Now you can add some personality with minimal effort! 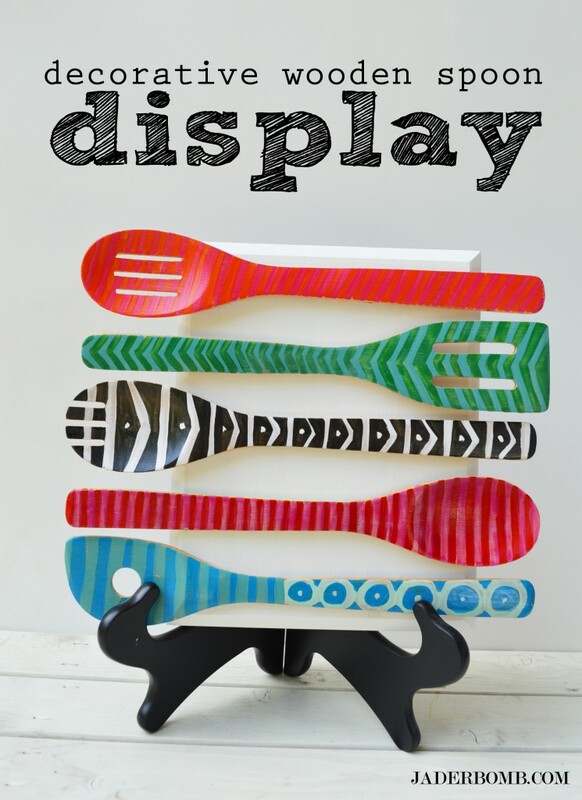 Decorate and display your essential serving spoons and forks. These add a pop of color to any kitchen and make a great focal point. 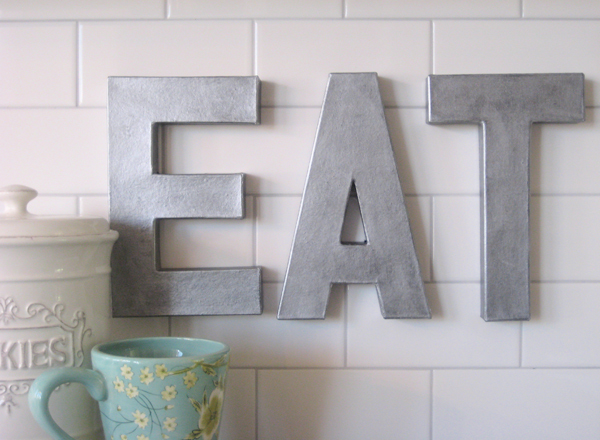 Add an art deco touch to your space by using metal-inspired letters to spell out a word; be creative with it and use the letters to add a personal touch to the room and show your personality. Just use whisks! You know those things you use to whisk eggs to scramble them? Now you can make some simple yet classy light fixtures out of them! Finding enough placemats that match can be difficult, especially if you have a big family. Now you can easily make your own! This design will match most decor themes as well. 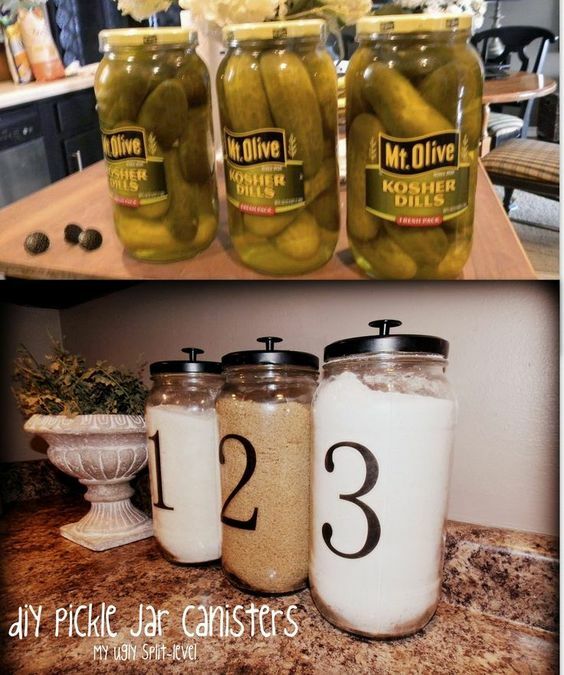 Don’t be too quick to throw away empty pickle jars. 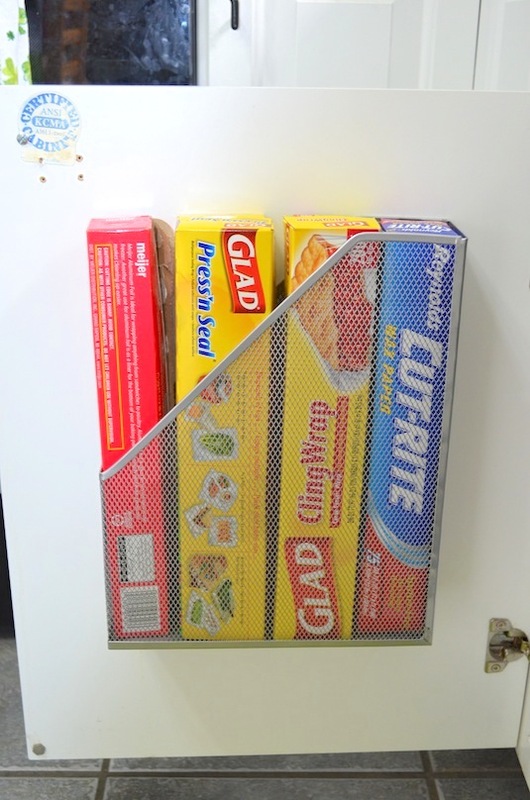 They can be repurposed quickly and easily and serve as a great way to organize your kitchen. Not to mention a way to make certain things like rice and beans easily accessible. If you like the idea of an eclectic backsplash but don’t want to be stuck with it for years a wallpaper like this one is a great way to do it. Turn an old cheap bookshelf into your own personalized kitchen island. This is also great if you don’t have space for a giant island since it is the perfect size for the average kitchen and can be made to look however you want. In order to make some super unique tiered serving trays, just pick up some picture frames, easily gotten from your nearby antique store. These are sure to be a conversation piece. If you like to stick with a particular color scheme or don’t like kitschy magnets from vacation then these DIY ones are a smart option. They add a touch of class to any kitchen and you can customize them with anything you like. Do you ever find a piece of dishware that would be nice if only it wasn’t covered with flowers from the 20’s? 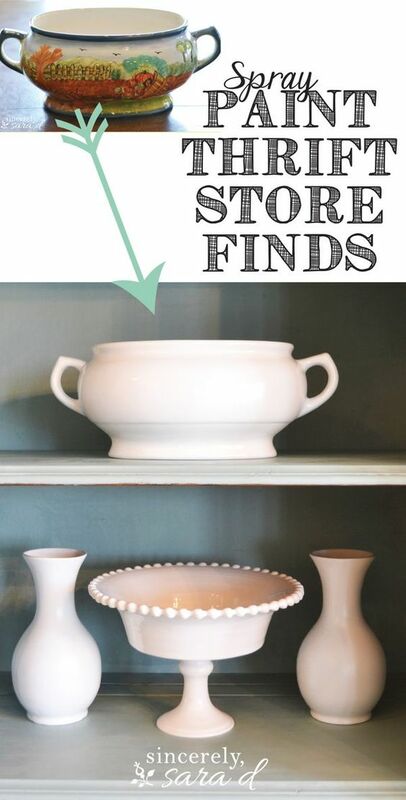 Well now you can start shopping, just make sure your last purchase is the spray paint color of your choice so you can give those old dishes a makeover. 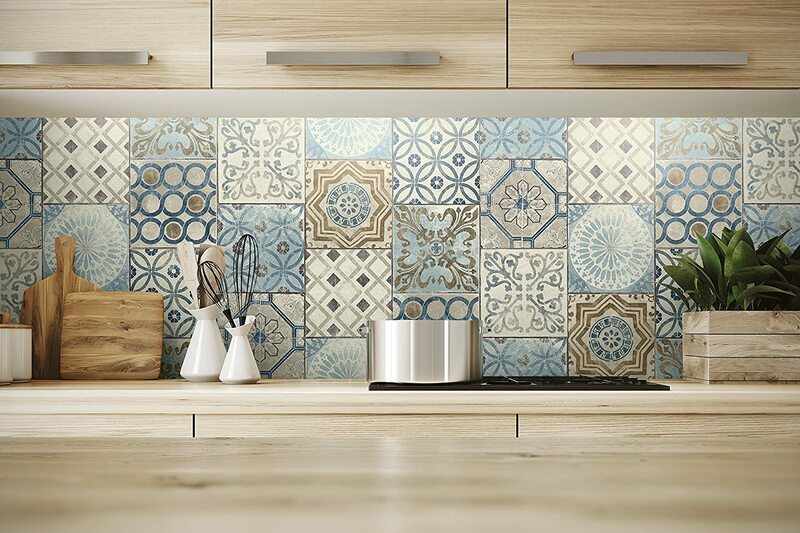 This is just one idea of how you can decorate those blank walls in your kitchen. 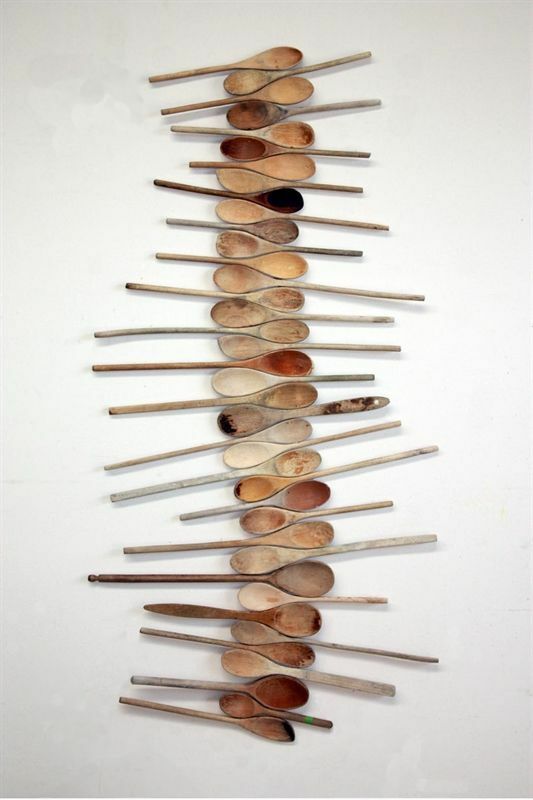 If you want something inspired by cooking, then look no further than this spoon collage! Herb gardens are easy, cute, and best of all, give you free herbs! Stop wasting money at the supermarket when you can grow your own. 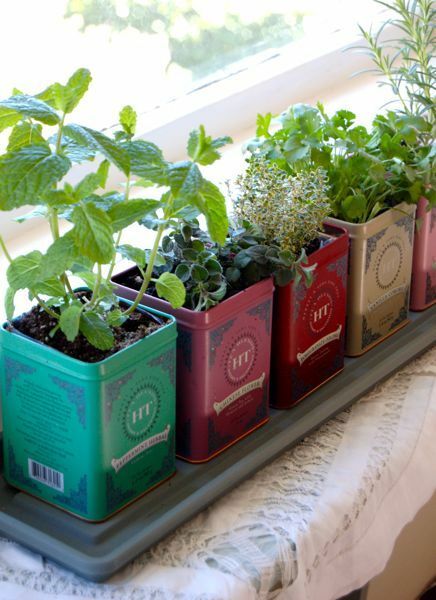 There are a lot of containers you can use; just find some cute ones, like these old tea containers, and start planting! Add fresh plants and a hand-made sign to a rustic-style kitchen’ it evokes a long-forgotten error and is great for keeping fresh herbs to cook with on hand. Send a message to family and friends that will make them feel welcome and loved or give them a glimpse into your family’s mantra with this great project. Succulents are the hottest new thing to have in your home, mostly because they’re so easy to maintain! 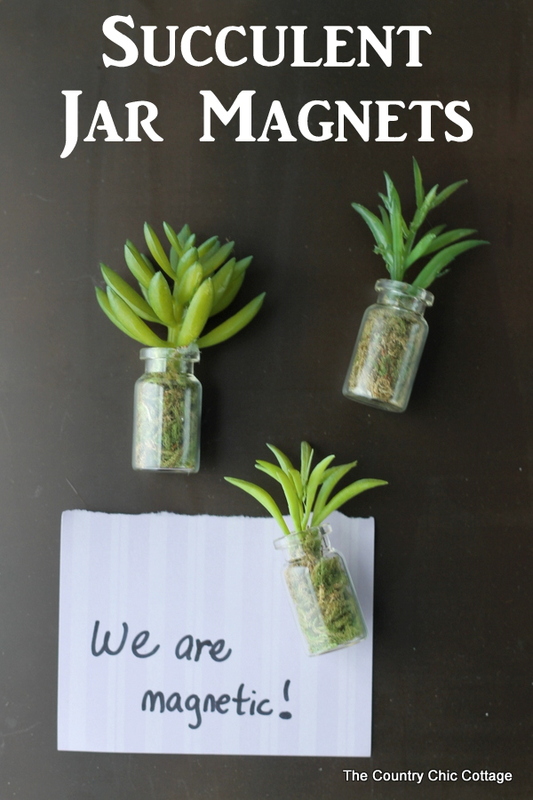 You can put them in any kind of container and instantly add some lively green to a boring space. This is one of most creative things I’ve seen done with these adorable plants. If you’re a coffee or tea addict, then mugs mean something special to you and having creative ones make you happy. But when you have so many great ones, you want to show the world. Here is an adorable way to show off your collection. Boxes like these can either be made or found in antique stores. 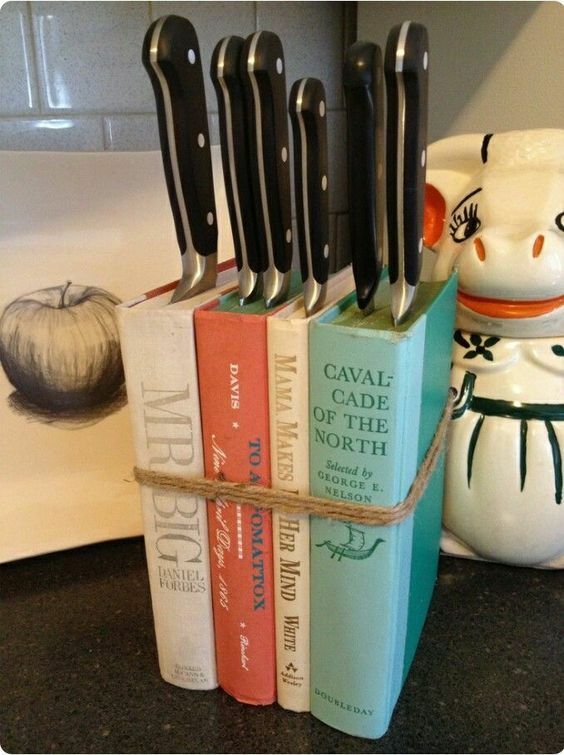 Do you love reading and cooking? Now you can combine two of your favorite hobbies with this super cute DIY idea. 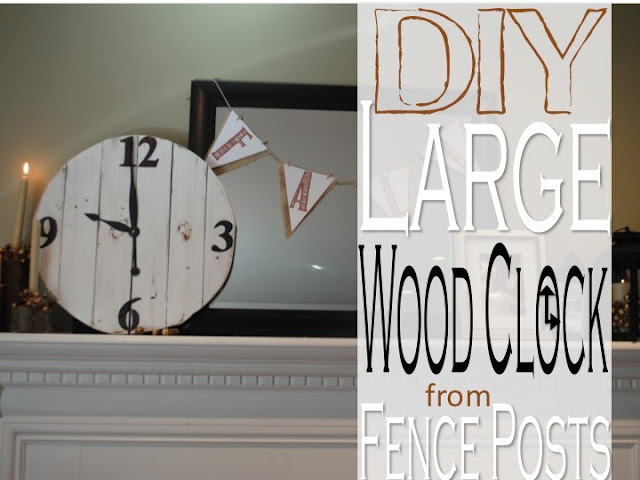 Time your recipes with this rustic wall clock that takes minutes to put together. Now, no one will be late for dinner! Are your spices taking up an entire cabinet? With so many little jars, they’re hard to organize. 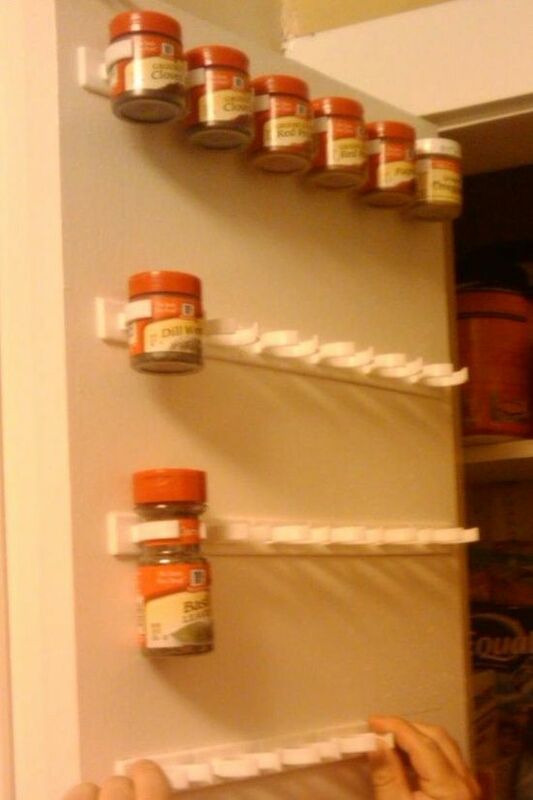 All you need are a few broom holders, and suddenly you have your very own spice rack! There are small changes you can make that will really make a difference in how your kitchen looks and feels. In this case literally. 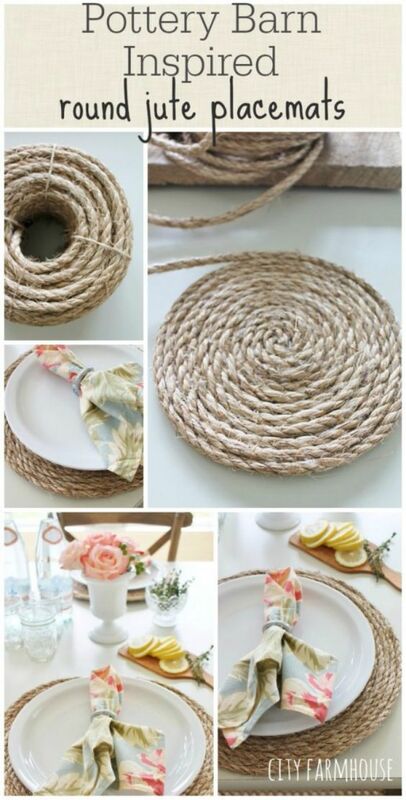 A little bit of twine can go a long way when it comes to DIY decor. Do you want to show off your dishware, but don’t want to pay for the glass? 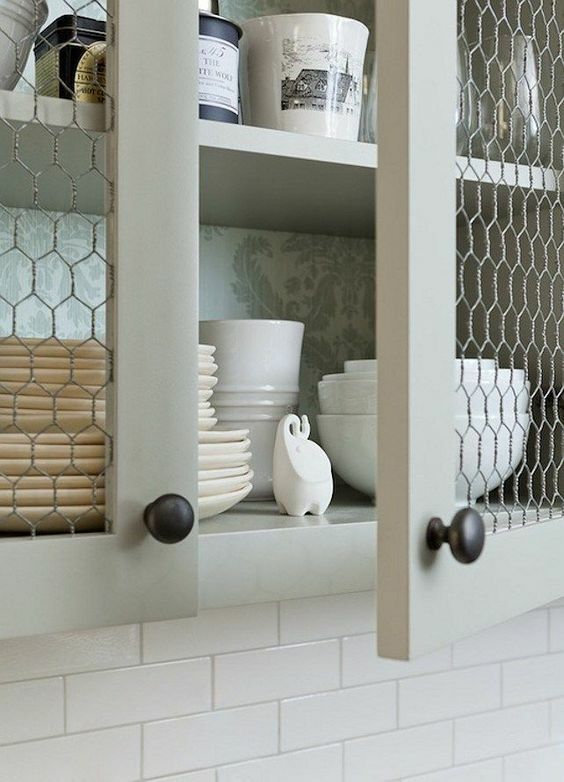 Well if you like the rustic touch, then all you need are some cabinet frames and chicken wire to make your kitchen pop. 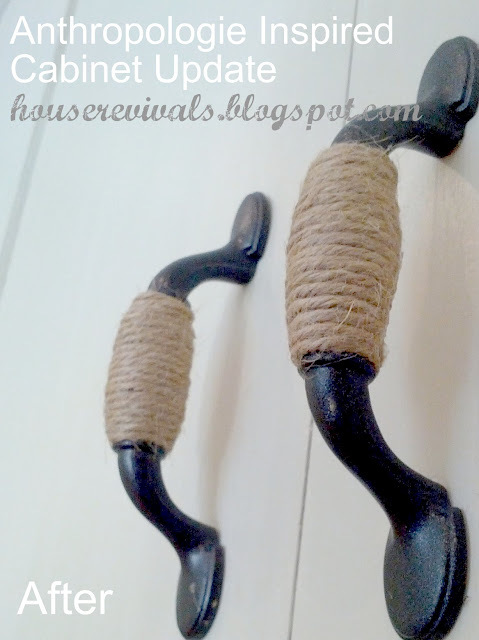 I hope you enjoyed these decorative DIY projects for your kitchen. Some are for organization, some are for decoration, and some are for both. All of them are fun to do and will make your kitchen truly one of a kind! Please let us know what you thought by commenting.